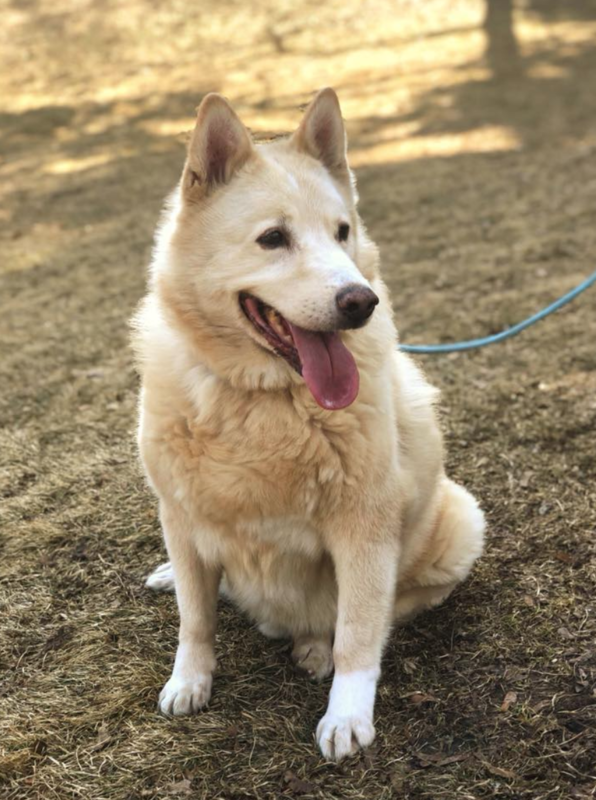 Mr. Carson is a handsome White Shepherd Mix; he is and the incredibly affectionate guy, and really does love to spend time with his human. At the park, he’s silly and playful and enthusiastic at the dog park, and can be vocal as well greeting other dogs with barks of love. He is crate-trained during the day and is ok to be left alone while you’re at work. But make sure you are ready for a whole-lotta-love when you get back!! He is still working on some of his commands with his Foster Mom; he would be o.k. with a smaller living space (ie. perfect for an apartment or condo! ), but would benefit from more exercise, as he is still working on his summer-bod. Carson is an easy-going and laid-back kind of guy. He has been around cats and has shown no interest. As for his size, he’s wider than he is tall. He’s above the same size as a medium sized labrador, but has shorter legs. He’s around 65lbs. If Carson sounds like your dream-guy, apply to adopt him today!